Urban Neighbourhoods | Aiming for Accuracy Pattern Co.
Urban Neighbourhoods is a really fun block to put together. 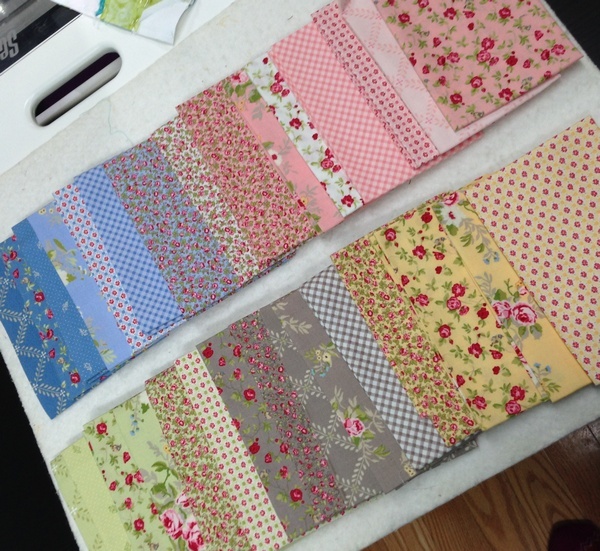 You can use fat quarters, fat eights, jelly roll strips or an assortment of scraps that measure 2½” high. 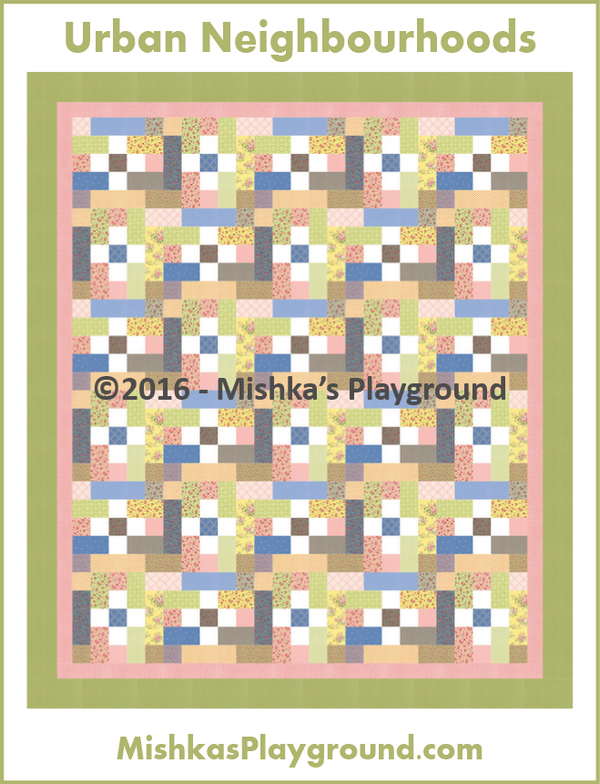 Assorted prints or solids: 12 fat quarters, or 30 fat eights, or one jelly roll (2½” strips, or assorted scraps that measure 2½” in height). ⅝ yard contrast fabric (white in the drawings). 54″ x 64″ batting without borders or 66″ x 76″ without borders. 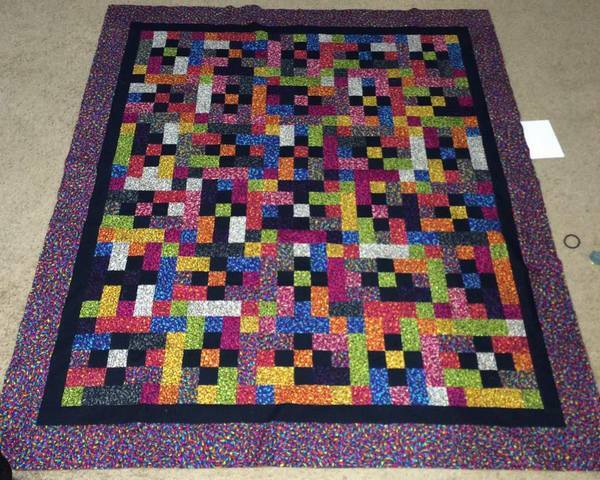 4 yards backing fabric without borders or 4½ yards with borders. General sewing and quilting supplies (i.e. 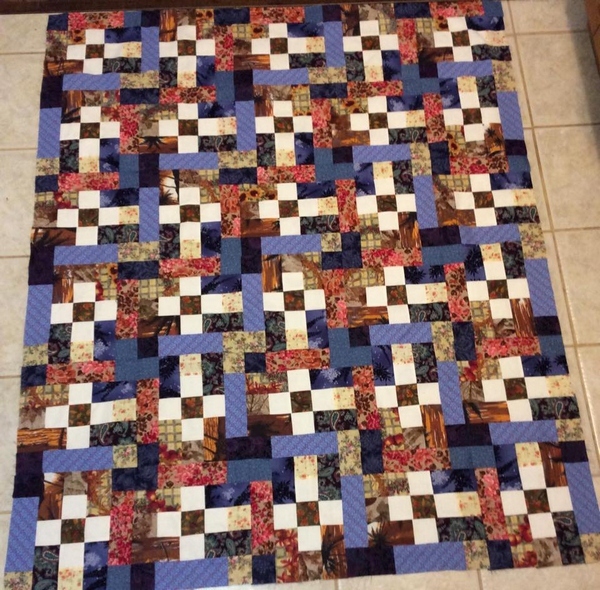 rotary cutter, mat, sewing machine, piecing thread). * Border measurements are exact. 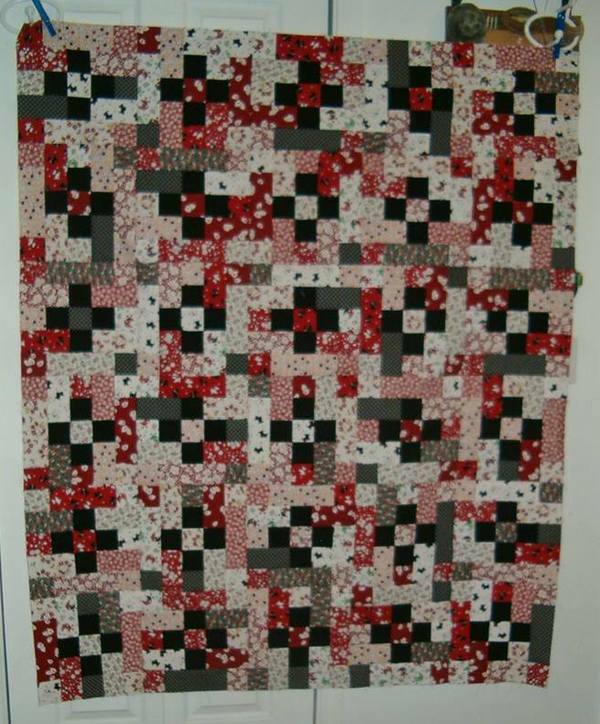 Add additional yardage if you need to square-up your fabric. 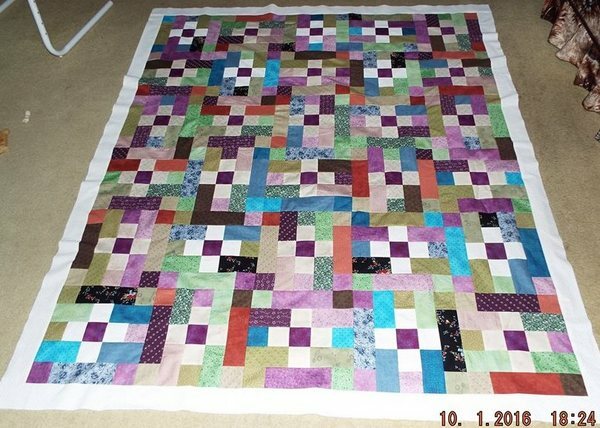 For my quilt, I am using a fat eighth bundle of Windermere designed by Brenda Riddle for Moda Fabrics.